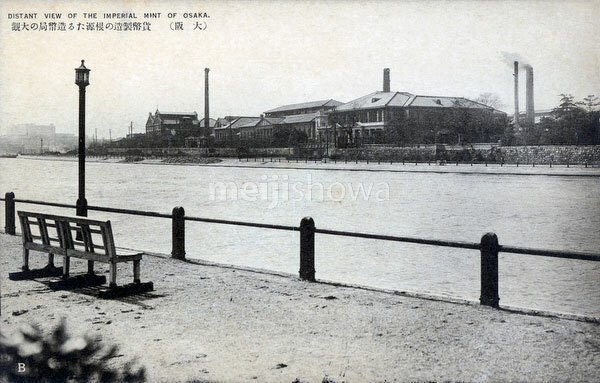 The Imperial Mint on the Okawa River in Osaka. Established to modernize Japan’s currency system, the Mint’s inaugural ceremony was held on April 4, 1871 (Meiji 4). It created the gold yen, equal to the old ryo, with subsidiary units sen (1/100) and rin (1/1000). Until 1871, Japan did not have a single currency. Each domain issued its own currencies. For international trade, the Mexican Dollar was often used. The Mint therefore played an important part in creating a stable currency and the rise of modern industry and culture in Japan.